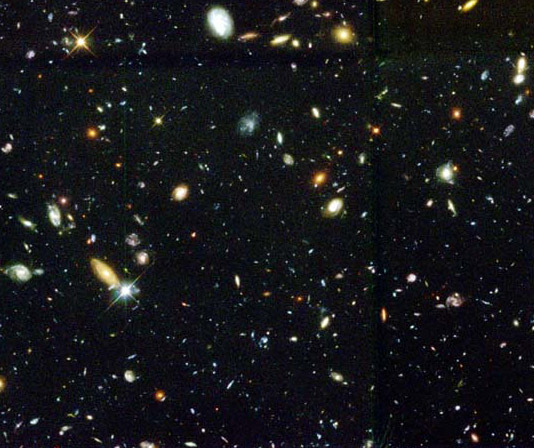 For de Botton’s atheist, the stars replace god as a reminder of all that surpasses him. I would also suggest another natural wonder: the history of life. While the stars are magnificent, living things now and in the past are master teachers of struggle, loss, and persistence. And while the galaxies may remind me that my life is insignificant, I find affirmation and consolation in the billion-year-long chain of living continuity. Not a bad bible for the non-theist. My thanks to Iain Carstairs at ScienceandReligion.com for sending me this book two years ago. Iain held a contest on what religion can offer the atheist, which I, as the only contestant, won. Iain, now struggling with cancer, has always searched out the common ground of science, spirit and beauty. This entry was posted in Chain of life, Morality, Non-Theists, Religion and tagged atheism, optimism, science. Bookmark the permalink.